I’m always on the lookout for bands that play salsa dura, the hard stuff, the way they played it in NYC (and San Juan, Cali, Caracas and plenty of other places) back in the 1970’s. Son De Barrio do it, they do it their own way, and they do it well. Their very Puerto Rican take on the genre gives as much prominence to cuatro (the undersized guitar that is the national instrument) as it does to piano and horns. 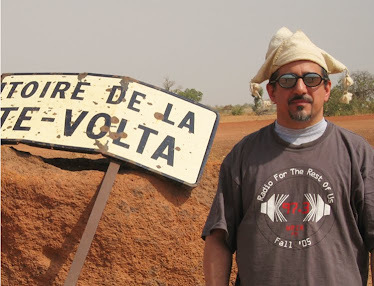 Much of their material is rooted in folkloric music (track 1 is a salsified version of a Boricuan classic, and 3 is an original in a similar bag) – they even take a detour into closely-related Cuban son on track 6, a song many of you will recognize from the Buena Vista Social Club. Then on track 4 they burst out of the gate with percussion and coro in the manner of fast-and-furious contemporary salsa groups like La Excelencia and Grupo Gale. Rafael Ithier of El Gran Combo (Puerto Rico’s most famous orchestra) is a supporter of Son De Barrio, and now I’m one too – this is top shelf salsa. Thank you for those words so inspirational my name is Andrés Gonzalez and I am the conga player of Orchestra son de barrio of Puerto Rico and for me is an honor to be part of this extraordinary Orchestra and thank you for supporting our music. Andres: It's my pleasure. I really enjoyed the album and I'm looking forward to hearing more from you guys. From Puerto Rico to the world! Thanks for a excellent description of our music! I'm the Pianist of the group and arranger. 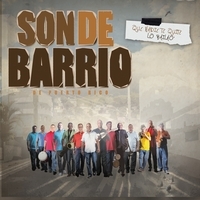 This CD is a expression of the barrio music on the west coast of PR, town, Aguada. Have to mention friends that helped us to make this a reality, Ceferino Caban , pianist, studio owner where we did the recording and also a renowned arranger. Carlos Vargas Trumpet player of Victor Manuel which also put his wisdom on assembling the horns. Thanks God for making this a reality! Thanks again for your POST!